HomeCarsToyota Debuts New Auris: Is This Our Next Corolla iM? Those of us in the U.S. know the Toyota Auris as the Corolla iM, a hatchback version of the ubiquitous Corolla sedan. A new Auris debuted at the Geneva Motor Show this week, and if a version is headed our way again, we could be in for a bolder design than the current model. The new Auris features a more aggressive grille with a front spoiler underneath. Also notice the striking boomerang-shaped headlights with LED accents. Toyota says the model is 1.6 inches longer than the previous Auris, yet height has decreased about an inch to give it a more planted stance. The new car is a little more than an inch wider overall and has a longer wheelbase. Contributing to the bold look is a smaller front overhang and flatter clamshell hood with a curved front edge. In the rear, the windshield is more raked than before. 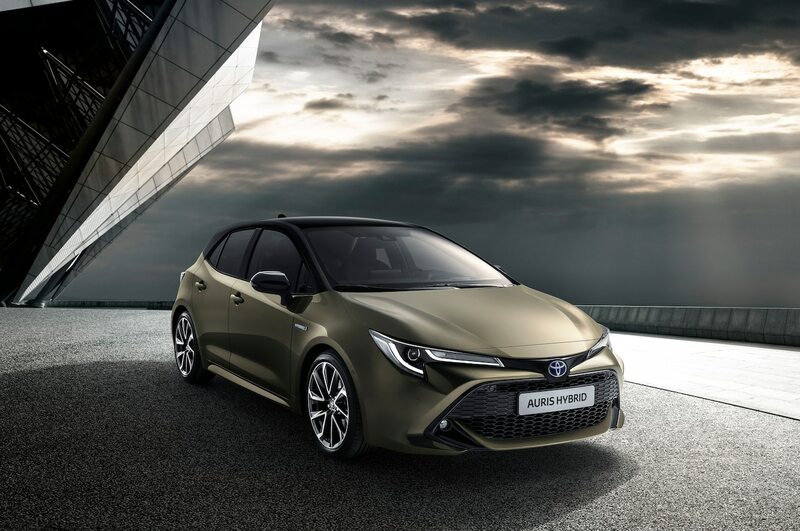 Although engine options on the Auris won’t necessarily translate to a potential new Corolla iM, the new model will feature a 1.2-liter turbocharged gas engine, a 1.8-liter hybrid powertrain making 122 hp, and a 2.0-liter hybrid powertrain with 180 hp. The previous Auris offered five traditional engines and just one hybrid powertrain: a 1.8-liter unit. Perhaps most important of all, the Auris moves to the Toyota New Global Architecture (TNGA). Not only does the small car boast a low center of gravity, it also receives a more rigid body shell thanks to the use of high strength steel. If it materializes, Toyota could build the new Corolla iM at the plant it will share with Mazda, although the facility isn’t scheduled to open until 2021. Corollas for the North American market are set to be built at the new factory. It’s still up in the air whether Toyota will bring out a new Corolla iM. But the sales charts look promising, in some respects. Although the hatch makes up a small fraction of total Corolla sales in the U.S., iM numbers were up 15.6 percent last year to 20,501 units sold.